Product prices and availability are accurate as of 2019-04-24 03:08:32 UTC and are subject to change. Any price and availability information displayed on http://www.amazon.com/ at the time of purchase will apply to the purchase of this product. 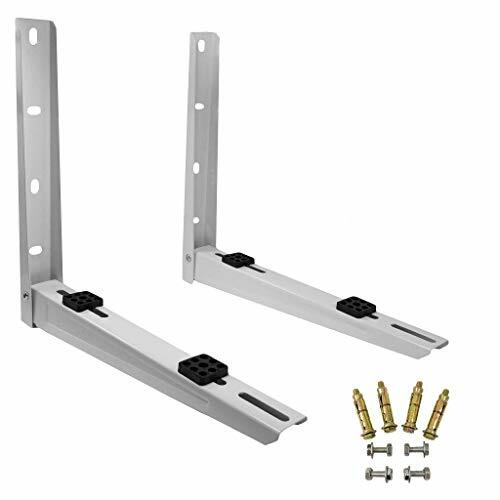 Heavy duty steel bracket, Made with ultra galvanized steel and Epoxy paint for installing mini split condensing units against the wall properly. Heavy Duty Steel Construction, Galvanized and Epoxy Painted. 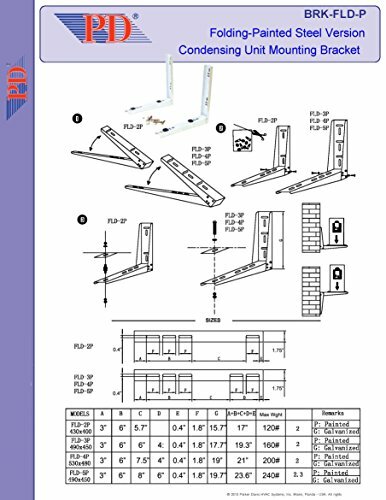 Includes all hardware for attaching the condenser plus 4 expansion bolts for wall mounting. 4 Rubber vibration absorbers also included. 4 sizes to choose from. 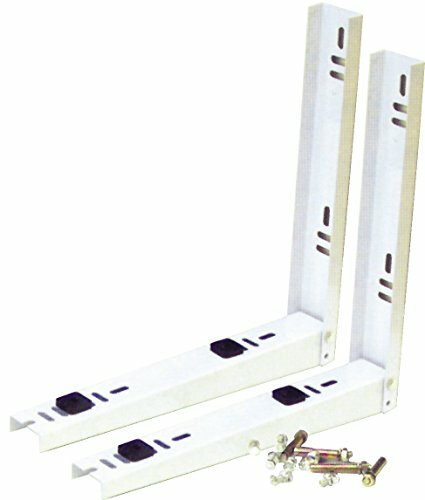 Pick the bracket that fits the BTU output of your machine. Raises the condensing unit above floor for protection from dirt, snow, debris, floods and other perils.